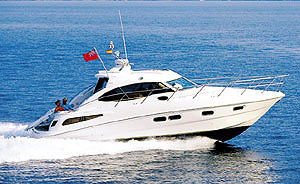 It is very rare to find a Neptunus motor yacht for sale on the West Coast. 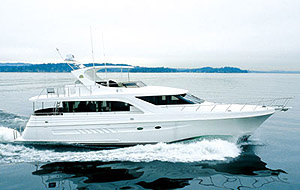 This is a pristine condition yacht with most every option available for West Coast cruising. Owner pride is evident in this yacht. Neptunus has been building semi-custom yachts that are rich in style and detail. From its roots as a Dutch builder of motor yachts with a 40 year heritage building yachts from 50 to 80 in length. 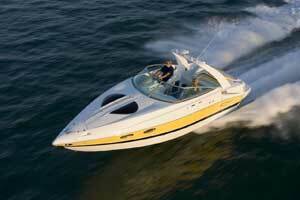 These vessels are truly capable of deep-water offshore cruising. The Neptunus Naval shipyard is located in Ontario Canada. Customer satisfaction is evidence by nearly 75% of Neptunus customers are on their second or third Neptunus yacht. Current owner purchased the yacht in May of 2017 and has continued to make the boat like new with many upgrades. If you are looking for a very clean, fully loaded, turn key 55-60' Fly Bridge Motor Yacht that is (LLC Owned) put this one on your must see list. Replaced with new Venturi wind deflector around fly bridge. Complete service on engines and generator from Caterpillar. Replace hoses, belts, fluids, filters and seal any and all leaks. Add new WebBoat 4G wireless Cellular internet dome. Complete service on engines and generator from Catapillar. Replace hoses, belts, fluids, filters and seal any and all leaks. Replace all 8D batteries for engine start, house and inverter plus all cables. New dinette upholstery in ultra-fine leather. 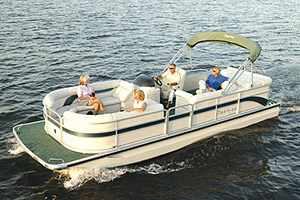 Replace upholstery in vinyl for upper lounge flybridge deck. Repair and replace electrical systems wiring as needed. Purchased upgraded UMT removable dingy chocks for swim platform. 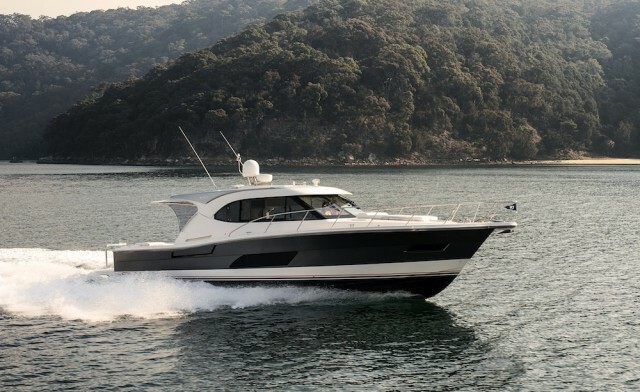 This 56 Neptunus Flybridge has only had three owners since new. She was custom built and I just wanted to point out what makes this boat stand out versus other boats previously and currently on the market. It was built in Canada with proven construction technology and craftsmanship. It has the finest solid cherry woodworking and cabinetry on the market. It is powered by proven Caterpillar 3406E engines providing the best performance for this hull and maintains the reputation of being trouble free. It is not under powered or over powered. It was built with every option Neptunus offered including, two freezers, Fisher Paykel dishwasher, washer & dryer, Bose Stereo systems, upgraded bow thruster, hydraulic swim platform, hardtop with full bridge enclosure, Inverter, Head Hunter Heads etc. It has never had any hull damage. Maintenance has been performed as required. It stands sea worthy for departure without notice. With a “no shoe” policy, the interior is like new condition without any wear or tear. It is maintained with open check book. The most important feature that we enjoy most is the full beam sun deck directly in front of the fly bridge helm. No other vessel has this option and it absolutely the best seating area one can imagine. Air Conditioning: Marine Air Systems dual chilled-water 24,000btu each. Heavy-duty reverse-cycle chiller unit with individual controls and five air handler units. Stainless gates access an integrated (Optional) Hydraulic swim platform with a lift capacity of 900 lbs.